As one professional comprehensive CNC metal parts manufacturer in China, Creatingway not only can machining some precision CNC metal parts & CNC plastic parts. At the same time, we also can cutting off some small metal parts to meet the tight tolerance requirements of our customers. These small metal cut off parts are mainly used in the following industries: Medical devices, Aerospare parts, Automotive parts and other electronic equipment. Maybe, more and more suppliers have ignored this business. But it’s still the core competency of our business at Creatingway. Today, we would like to provide some brief proposals to get the results what you want. These key skills, engineer support and production capability to meet your requirement and standard. In fact, Creatingway will take these advantages to support your projects, make best partner in China. When we have some small cut off cnc metal parts need to be machined, firstly, we want to find a good partner that can deliver burr-free and tight tolerances parts to you for testing. And this partner has own expertise in cutting parts with different materials you want to use. Whatever it is a ferrous metal alloy such as: stainless steel, Aluminum alloy, Titanium alloy or some other metal material, or a non-ferrous metal such as: tungsten and molybdenum etc. Whether the supplier can cut some composites or coated metal without deformation or damage. Anyway, you can ask as many predictable questions as you can to choose and judge your next cooperative partner. We do believes that Creatingway will be better choose to you. Cutting off metal equipment is vital to balance one supplier that has the capacity to handle your order volume and effective delivery time you need. And it’s also a smart choose to use correct supplier that has different advance machine equipment, provide various of cutting options and tools available in house, thus to reduce the whole productions time and costs. 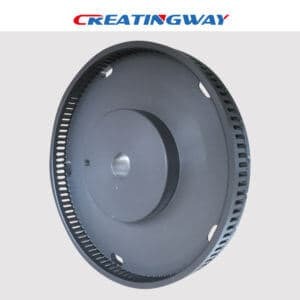 As an excellent CNC machining services manufacturer, Creatingway has own many advanced equipments at our factory. Such as: CNC machining center, grinding machine, lapping machine, polishing machine, milling&turning machine, precise EDM and CNC machining lathe etc. Choosing one good supplier vendor is crucial to achieve your cnc metal parts. They can give you the best decision and options as your requirements, and saving the production time and costs. And the right choice will help to ensure you get high quality &tight tolerance parts, also fast responsive and on time service.